Now that we are back to school and winter is in full swing, my kids are always looking for craft projects for upcoming events. They love to make things for birthdays and Valentine's Day. 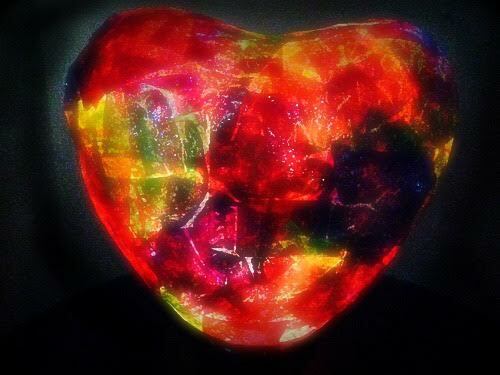 We recently made these adorable Heart-Shaped Tissue Paper Nightlights. 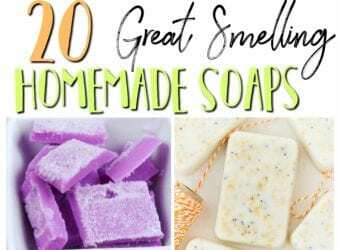 They are so easy to make that we plan to make one for each child in my daughter's class at school for Valentine's Day, plus we made them as a craft in Girl Scouts. This is such a fun craft that moms and kids can do together. 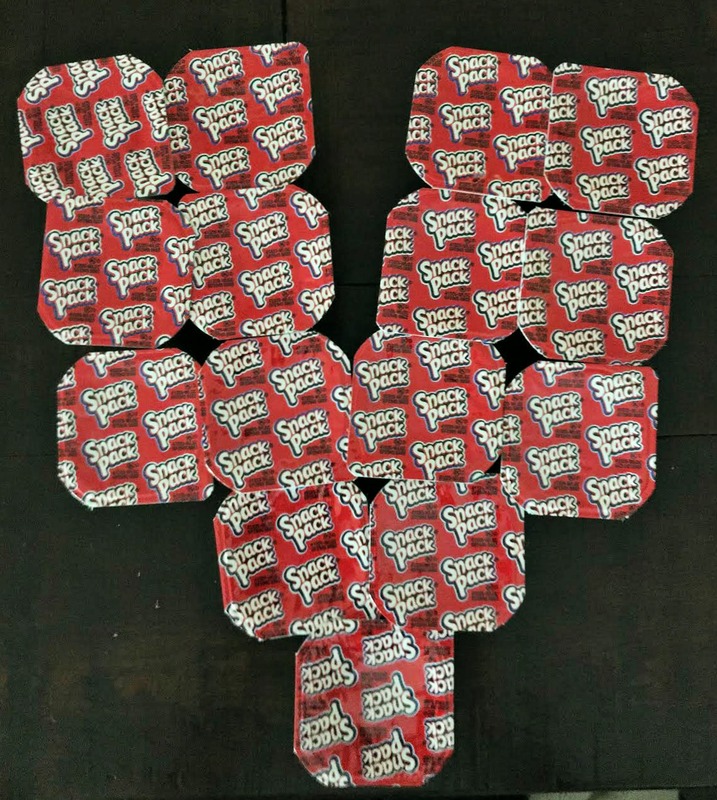 Check out the hearts we made from Snack Pack® pudding cups. The girls loved that they were in the shape of a heart. 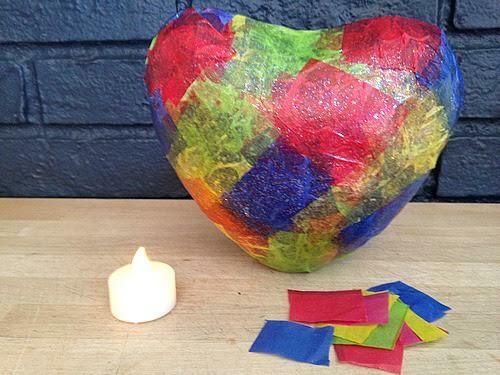 Whether you are afraid of the dark or just love creating beautiful things, this Tissue Paper Nightlight is easy, fun and so pretty. With just a couple bucks spent at a dollar store, 24 hours and some imagination, you can have a kid-friendly craft that will help your child sleep better at night. The colors are bold and bright with or without a light, which makes it a great gift that doubles as fun décor. You can customize the look and hues to your preference. The options are endless! The key with this craft is using Mod Podge over traditional papier-mâché paste. The result is a more flexible and lighter texture that easily pulls away from your base object. 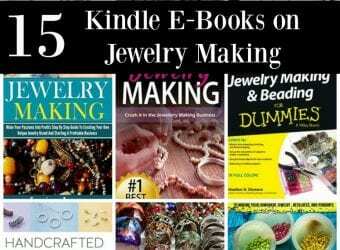 You can find it at craft stores and large retailers such as Walmart. It also comes in a variety of finishes; for this craft, opt for the sparkle finish to add extra pizzazz. 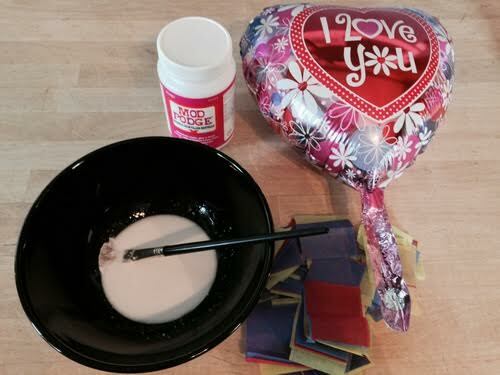 Mix equal parts of Mod Podge and water into a small bowl or disposable cup. A little goes a long way. 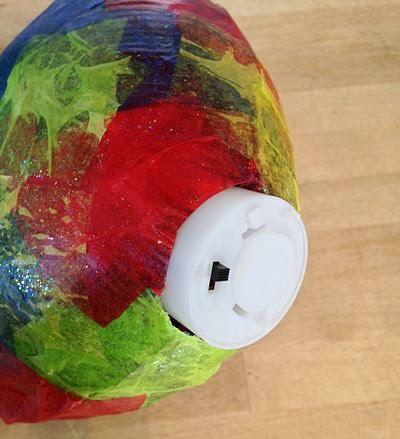 Place a square of the tissue paper in the center of the balloon and paint a thin layer of your paste over the top. 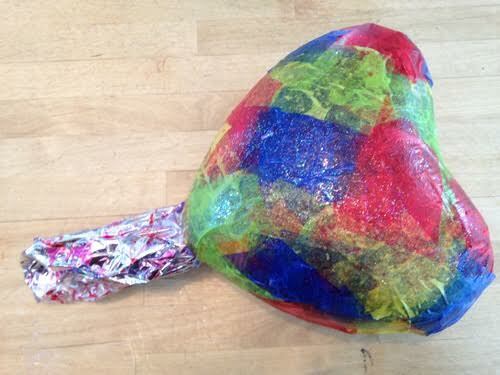 Continue placing squares of tissue paper over the balloon, making sure each square slightly overlaps the adjoining piece. 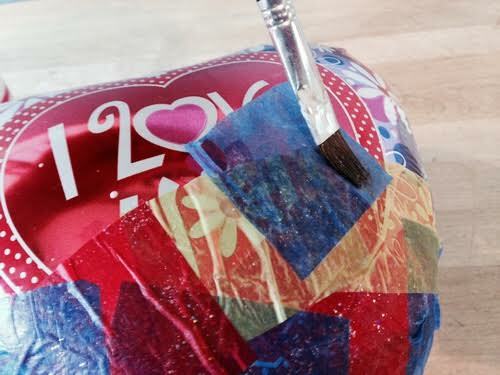 Paint a thin coat of the paste over the entire square of paper as you cover the entire balloon. Let the first layer dry for at least 20 minutes or until dry enough to touch without ripping the tissue. Repeat steps 2 to 5 to create a second and third layer. 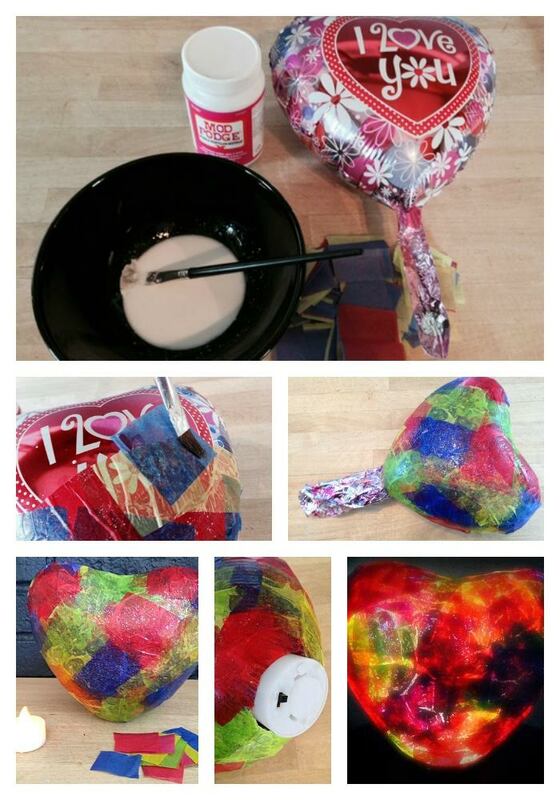 Once you have 3 layers on the balloon, let it dry overnight. Pop and remove the balloon from the dried paper. Place an LED light or flameless candle in the bottom of your creation, or simply use it as décor. This winter, take a moment to slow down and enjoy a tasty and fun treat with the kids. Snack Pack® comes in a variety of flavors and offers endless mix-in opportunities the kids can help prepare. Each serving of Snack Pack® is fortified with as much calcium as an 8-ounce glass of milk,* so you can feel good about serving your kids Snack Pack®. For mix-in inspiration, visit Snack Pack® on Pinterest and Facebook. *All Snack Pack® products contain 30% DV calcium, with the exception of Bakery Shop Lemon Meringue Pie, Lemon Pudding, and Snack Pack® Gels. That night light is so cute and easy to make! I am going to have to make one for Valentine’s day for my son’s room. This turned out so great! I love that it looks so good and is still easy and accessible enough for the kids to be able to help with the assembly. That looks like a fun project. What a cool and fun project! I bet the kids would love to make that, and display it! I’d love to do this with my daughter, when she is older. Now that is cute and creative. I’ve never made anything like this so it would be a fun experience to make some of these with the kids. We are never without snack packs lol. Awesome idea! I would love to make something like that myself! It would really make a good night light for the bedroom. This is such a cute idea! Perfect timing for Valentine’s Day. My kids would love this. What a cute idea this is. I bet my daughter would love to try this one. That looks so pretty when lit up! Making one of these with the kids would be a lot of fun. This is so creative! 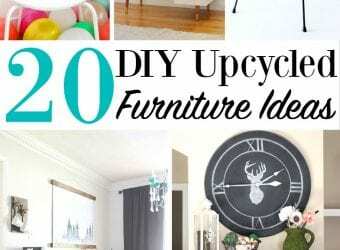 I would love to try this DIY project with the kids. This is such a neat project! I know my kiddos would love making these, thank you for the idea and tutorial! I saw this on your instagram feed and thought it was so pretty. I can only imagine the colors when it is lit! This would be so pretty in pastels or you could do team colors or nearly anything. I used to love doing crAFTS like this, and miss it. I might have to try one I think I still have modge podge around! What a clever idea. This is a super cute nightlight. I have to try this project. This would be perfect for my wife and son. I’m sure they will love that. Wow- what a neat idea! That would be a really fun craft for me to do with my daughter! I am going to save this idea and try it sometime. 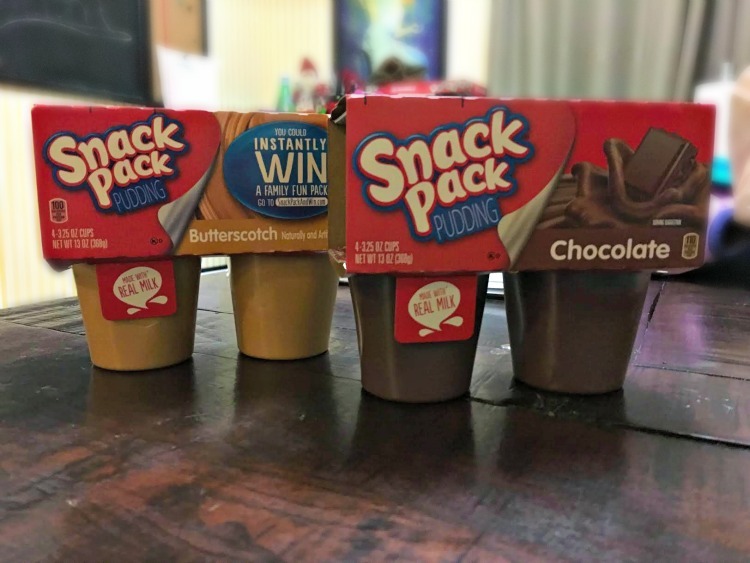 Also- we love snack pack pudding too! This is such a cute craft! I love the idea and I think my son would get a kick out of it. 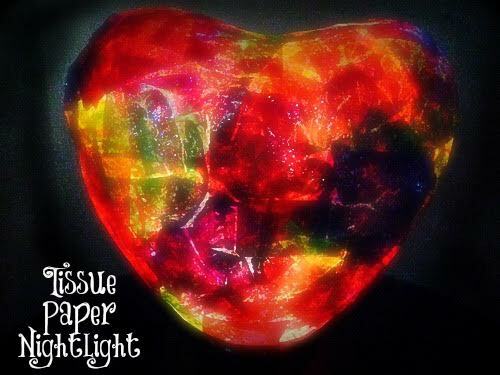 A Heart-Shaped Tissue Paper Nightlight is a fantastic idea. I will have to get the supplies i need to make one on the weekend. I hope mine turns out as well as yours did. What a splendid idea to recycle a balloon. 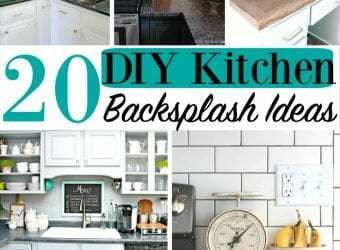 My girls would love this project! 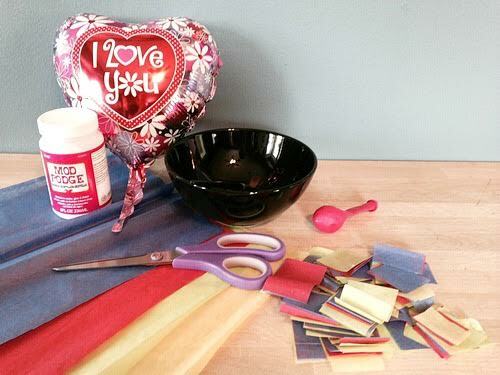 What a cute Valentine’s craft fro kids to do! Valentine’s Day is such a fun time and of course pudding is a must too! What a fun idea. My son uses a nightlight. I’ll have to see if he wants to try this. This is a very cute idea, my daughter would love to make this. This is a super cute craft! I loved making things like this with my girls when they were in scouts. What a fun project! My kids would love one of these in their rooms I’m sure! This is so cool! I’m going to try and make one with my daughter. Thanks so much for sharing.